The allure of the island paradise of Zanzibar is hard to resist, with its charm attracting hundreds of thousands of visitors every year. Situated just off the coast of the east African country of Tanzania, Zanzibar has a unique beauty and appeal that other beach holiday destinations are unable to rival. The clear turquoise waters and immaculate sandy beaches look as if they’ve come straight off a postcard. One of the main reasons to visit the islands is the exciting water sports that are available, such as scuba diving, sailing and deep-sea fishing.You can swim and snorkel in the balmy waters and take a look below the surface to see the marine life that calls Zanzibar home.The archipelago is a cultural melting pot, as generations of trade relations with different countries have left their mark on the islands. 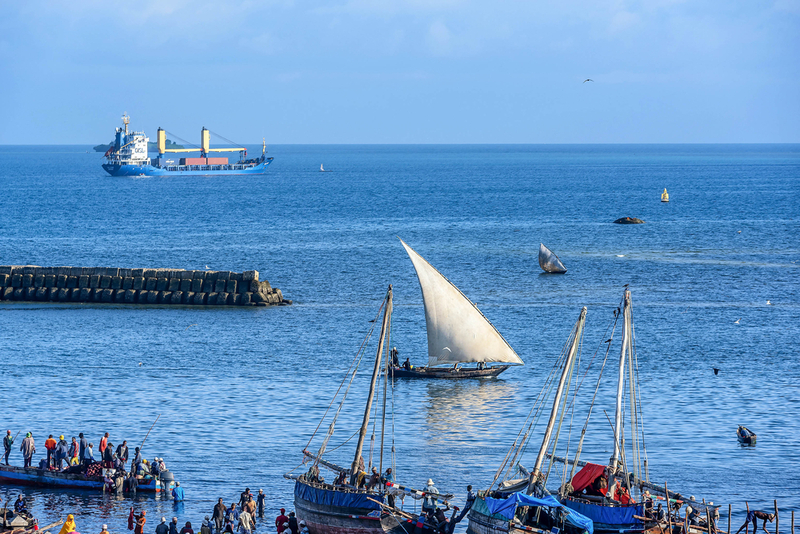 There are African, Arab, Indian Persian and European influences in Zanzibar’s past and present, which can be seen as you travel around the islands.While its natural beauty and rich history add to the islands’ allure, it’s the people who live there that will make your trip one to remember. The locals are friendly, calm, helpful, philosophical and energetic, always wanting to make you smile and help you enjoy Zanzibar to the fullest. Another one of the islands’ biggest draws is the wealth of stunning accommodation. You can choose from hotels, apartments and guest houses – the choice is yours. The Zanzi Resort is a luxurious oasis on the cliffs of Kama where you can experience all the pleasures the paradise of Zanzibar has to offer. Some of the most popular excursions on the island are Dhow Safaris and spice tours. The former involves sailing in a traditional Swahili boat across the Indian Ocean. You can glide seamlessly over the waters, watch the sunset or stop off at some of the smaller islands surrounding Zanzibar. The agricultural wealth of the islands means there is an abundance of spices available. You can discover new colours, smells and tastes by joining a spice tour on your holiday, while learning why this trade is so important in Zanzibar.